And not minute too soon. The emergence of the first blooms of the season. 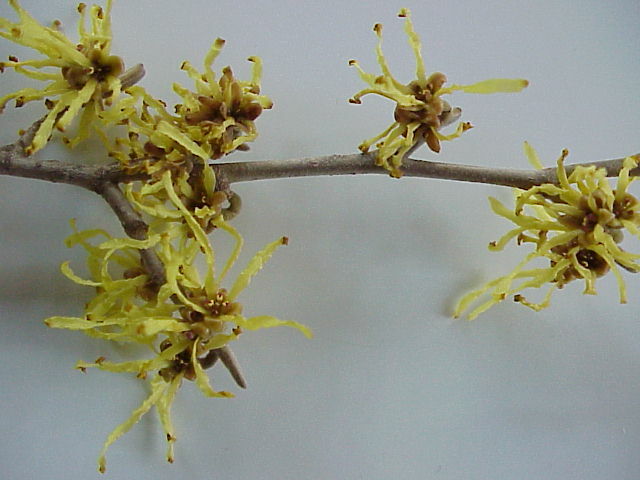 Witch Hazel…with it’s blossoms like little confetti ribbons unfurled to greet us. Thank you. It was worth the wait. No Witch Hazel sightings? 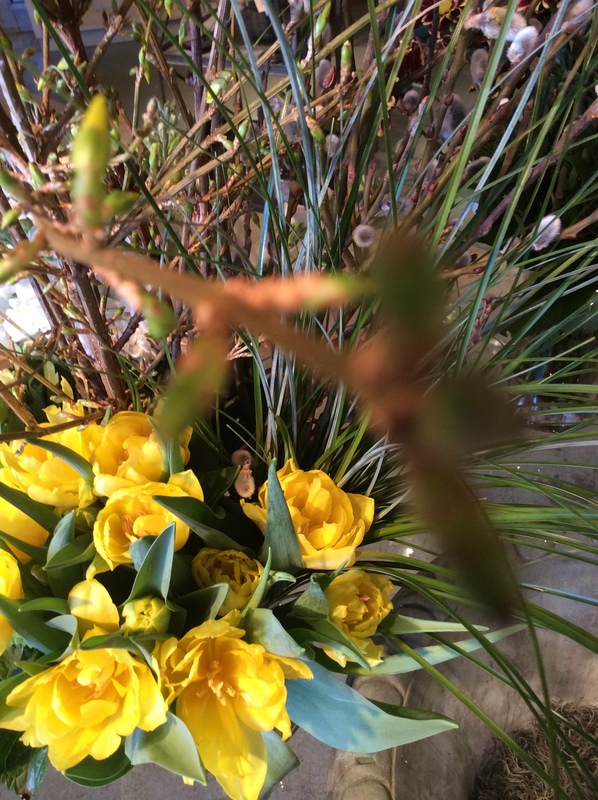 Then maybe a trip out for an armload of Forsythia, French Pussywillow, Bear Grass and Tulips will hold ya.